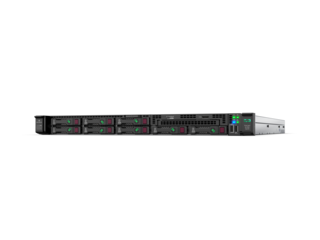 HPE ProLiant DL360 Gen10 Server delivers security, agility, and flexibility without compromise. Supports the Intel® Xeon® Processor Scalable Family with up to a 71% performance gain and 27% increase in cores, also 2666 MT/s HPE DDR4 SmartMemory supporting up to 3.0 TB with an increase in performance up to massive 66%. If your data center needs a secure, performance driven dense server that you can confidently deploy for virtualisation, database, or high-performance computing. 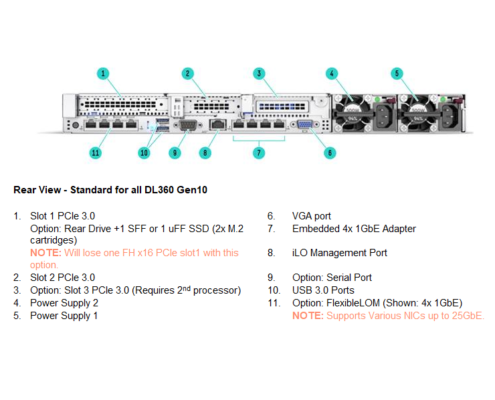 With the added performance that 12 NVDIMMs and 10 NVMe bring, the HPE ProLiant DL360 Gen10 means business. Deploy, update, monitor and maintain with ease by automating the most essential server lifecycle management tasks with HPE OneView and HPE iLO 5. 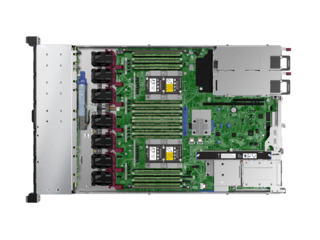 Deploy this 2 CPU secure platform for diverse workloads in space constrained environments. 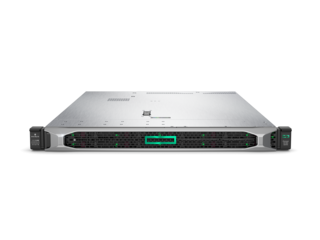 The HPE ProLiant DL360 Gen10 Server supports industry standard technology leveraging Intel’s latest Xeon® Processor Scalable Family with up to 28 cores, 12G SAS and 3.0 TB of HPE DDR4 2666 MT/s SmartMemory. 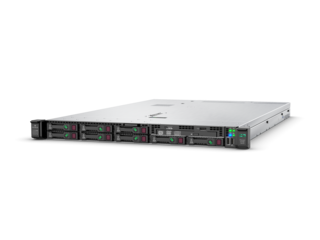 With support for up to 12 NVDIMMs per chassis and 2X capacity of first generation HPE NVDIMMs, the HPE ProLiant DL360 Gen10 Server delivers up to 192 GB per system. Achieve greater capacity with flexible drive configuration options with up to ten SFF, four LFF drives along with option to support up to ten NVMe PCIe SSDs delivering optimal performance, capacity, and reliability to meet various customer segments and workload requirements at the right economics. HPE Persistent Memory, the world’s first non-volatile DIMM (NVDIMM) optimized on HPE ProLiant compute, offers unprecedented levels of performance for databases and analytic workloads. 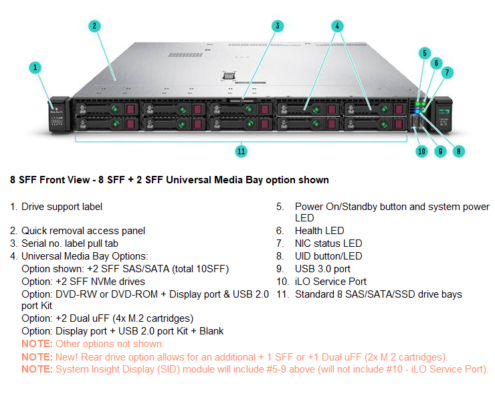 The Premium 10 SFF NVMe chassis backplane provides the ability to mix and match SAS/SATA and NVMe within the same chassis along with 8+2 SFF and 4 LFF chassis that supports new uFF and M.2 storage options. 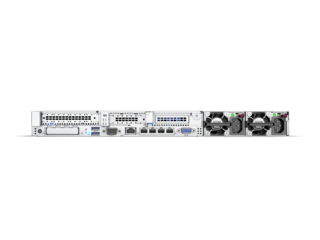 Embedded 4x1GbE plus HPE FlexibleLOM or PCIe standup 1GbE, 10GbE or 25GbE adapters which provides flexibility of networking bandwidth and fabric so you can adapt and grow to changing business needs. Unmatched expandability packed in a dense 1U rack design with up to 3 PCIe 3.0 slots. 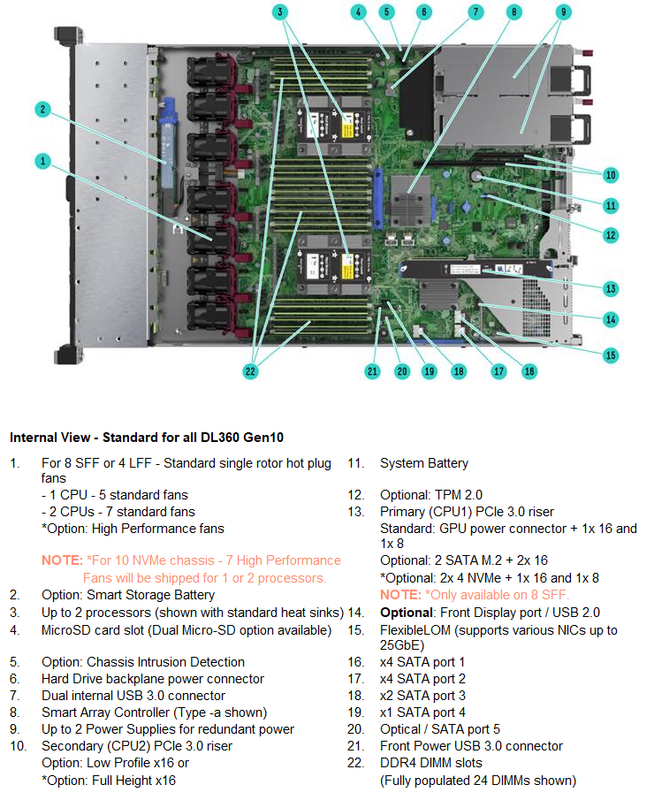 Only Hewlett Packard Enterprise offers industry standard servers with major firmware anchored directly into the silicon. with security protection built in across the server lifecycle starting with Silicon Root of Trust. Millions of lines of firmware code run before the server operating system boots and with Runtime Firmware Validation, enabled by iLO Advanced Premium Security Edition, the server firmware is checked every 24 hours verifying validity and credibility of essential system firmware. Secure Recovery allows server firmware to rollback to the to last known good state or factory settings after detection of compromised code. Additional security options are available with Trusted Platform Module (TPM) to prevents unauthorized access to server and securely stores artifacts used to authenticate the server platforms while the Intrusion Detection Kit logs and alerts when the server hood is removed. 3/3/3 – Server Warranty includes three years of parts, three years of labor, three years of onsite support coverage.